What is it about school & office supplies that is so exciting? I loved when school supply shopping time came around and as an adult shopping to stock my work desk made me giddy. My daughter has learned (or maybe she was born with it) to love school supplies too. Even as a toddler she loved using markers instead of crayons or tried to use adult scissors instead of kids. 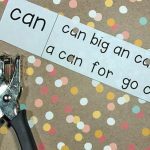 So I knew that when I set up this Upper & Lowercase Letter Matching Hole Punch Activity, we would have fun! 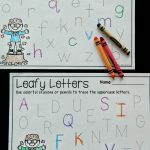 I created this activity because my daughter has a few letters, both upper and lowercase, that she gets stuck on. Practice makes perfect and adding a hole punch in the mix makes practicing fun! 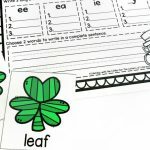 Each page has four letter matching strips on it and the printable pack contains one strip for each letter. There is a black & white and also a color version available. For Single Use: For single use I would use the black and white printable version. 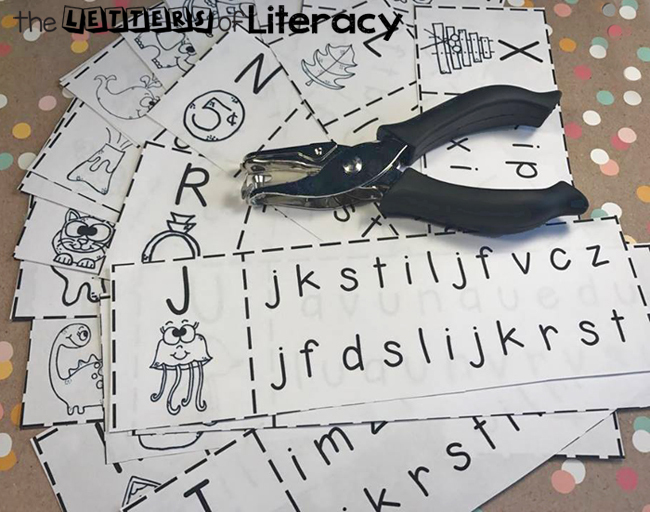 I printed out and cut along the outer dotted lines to make the strips easier to hand and allow kids to hole punch them. 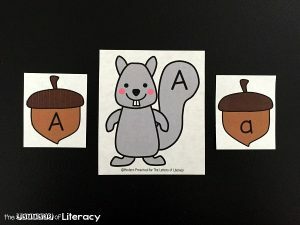 The letter bank has two lines of letters to allow more variety of letters in the bank. 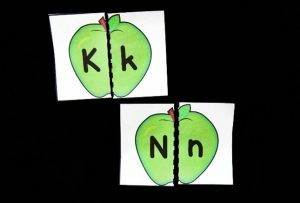 Kids can find the lowercase letters, in the word bank, that match the upper case letter. Once they have found the matches they can hole punch them. When that strip is complete, they can move on to the next. For Center/Reusable Use: There is also an option to print in color. This would be great for a reusable activity or for centers. I would print the colored version, cut the strips and then laminate them. 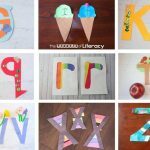 From here kids could use manipulatives such as erasers, counters, reusable stickers or even dry erase markers to cover the matching letters. At home this turned out to be a great activity that I could give my daughter while making dinner or folding laundry. When she needed assistance on letters that she wasn’t quite confident on, she could ask but I did not need to be 100% involved. 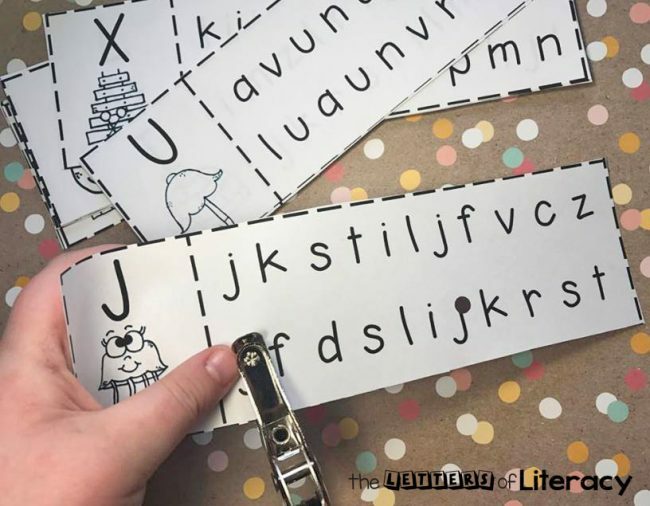 It’s wonderful to see how well she reacted to this activity and how one simple office supply motivated her to practice her letters! 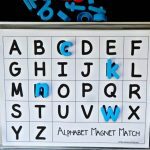 Ready to practice letter matching? 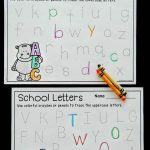 Grab your copy of the hole punch alphabet printables by clicking the blue button below. 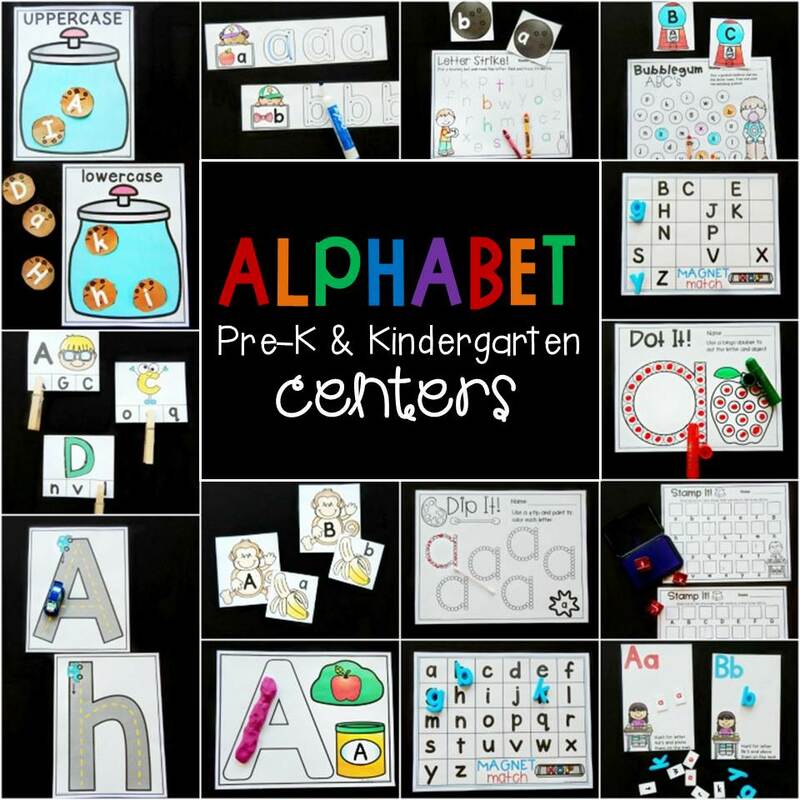 Then, for TONS of alphabet fun, hop over and grab our Print and Play Alphabet Centers! My grandson loved the hole punch activity! Thank you for sharing. It’s our pleasure! We are happy to help. Enjoy the rest of your week! 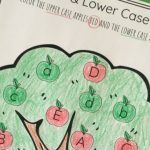 How fun – thank you for the great resource! Thanks for the quick activities! People like you are greatly appreciated!